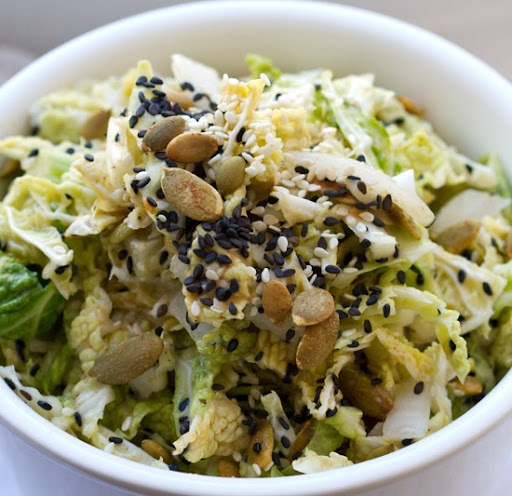 Seedy Tahini Vegan Cole Slaw Recipe. Mayo Free. 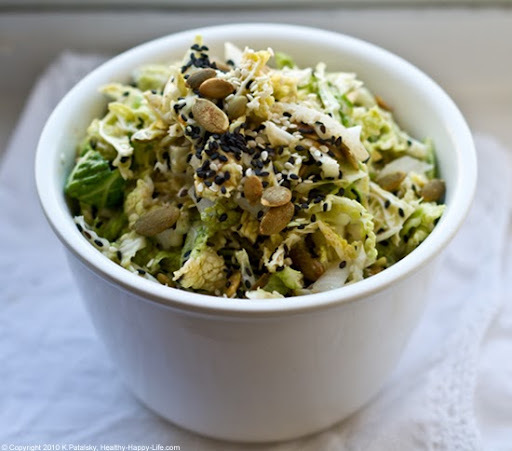 Cool, creamy, zesty, crunchy cabbage-filled vegan cole slaw was just what I craved. Position me in front of my cutting board and stove and send me into my own personal culinary dreamland. Cabbage chopping is quite satisfying. Little mess, no juice, all chop. 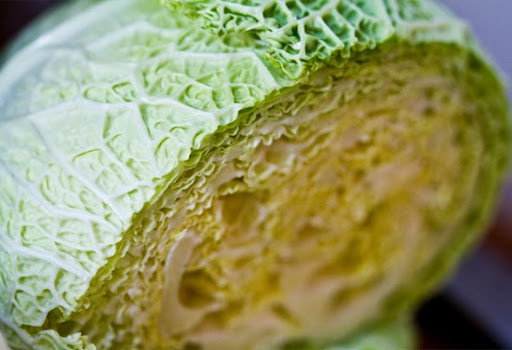 I sliced into my NYC Farmer's Market cabbage and that buttery 'crunch' sound was music to my ears. And what does one do with when life hands you cabbage? Make Cole Slaw of course! But this is no ordinary recipe. 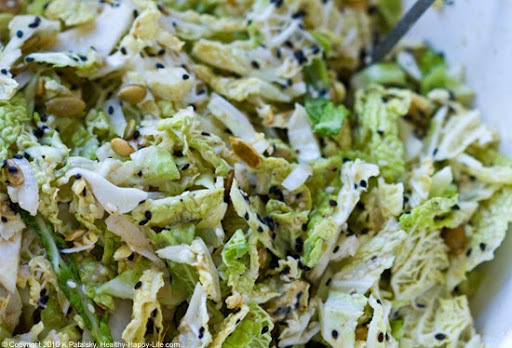 *it is mayo-free, yet still quite "creamy"
Seedy Tahini Cole Slaw. 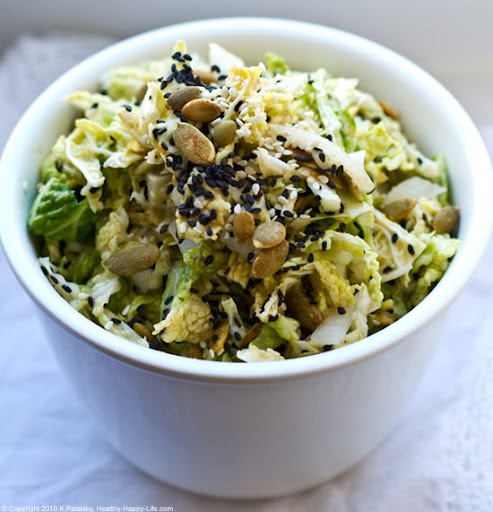 I love my Vegenaise, but this "creamy" vegan cole slaw recipe is completely mayo free. 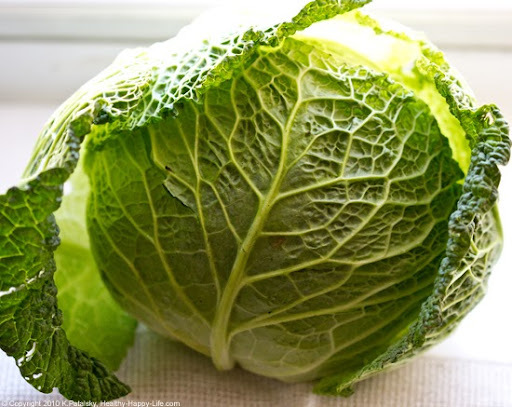 Fresh Cabbage. This Greenmarket cabbage was better than any cabbage I have bought in a store. It was uniquely light and fluffy. Almost like a round Napa Cabbage. Super inspiring. So I pondered cabbage stew, braised cabbage .. but Vegan Cole Slaw won my vote. 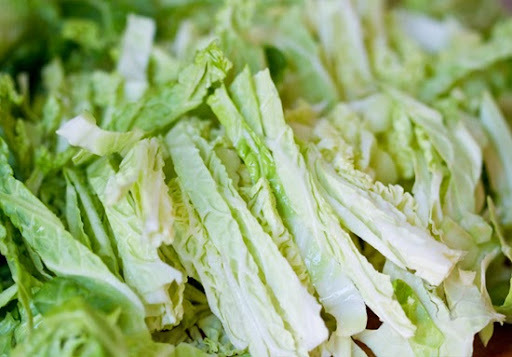 Want more cabbage? 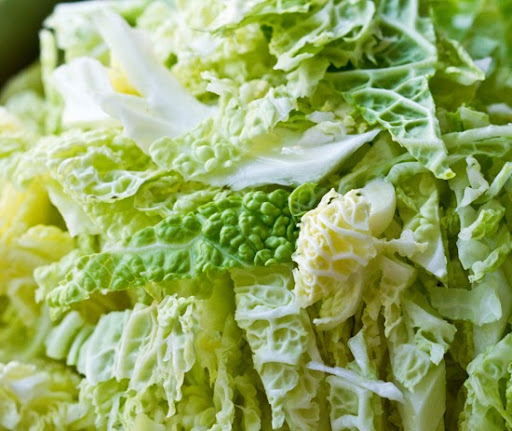 Read Napa Cabbage: 5 Uses and Nutrition Facts. About the seeds. I used a nice variety of seeds including black and white sesame seeds. Black vs. White Sesame Seeds. If you do a simple taste test of black vs. white sesame seeds you will find that while the more common white seed had a mild flavor with a chewy texture, the black seeds are bolder, a bit more bitter in taste and even have a thicker crunch. 1. 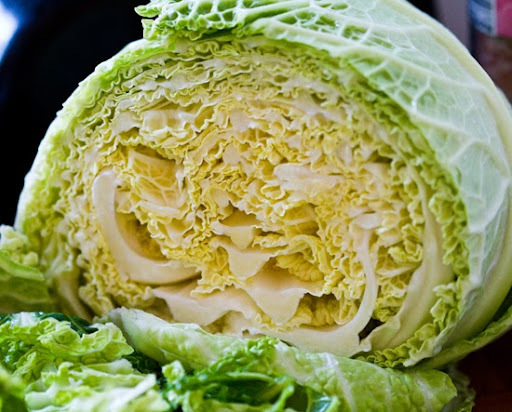 Prep your cabbage by slicing it in half and chopping it into thin fine bits. 2. 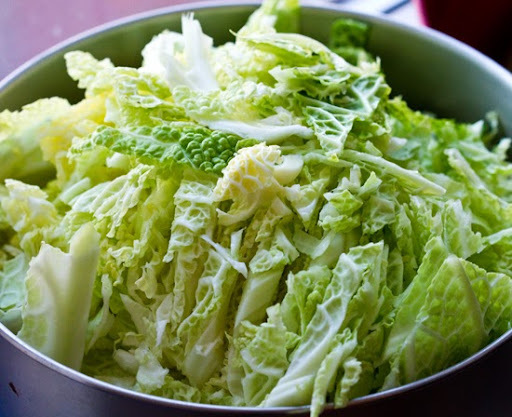 Place chopped cabbage in a large bowl. 3. Next, chop your onion and add to bowl. 4. In a small bowl, whisk your 'dressing' together. You can add seeds directly to dressing mixture as well. 5. Pour dressing over top of cabbage/onions. 6. Toss well. Really well. 7. Cover bowl and place cole slaw in fridge for at least an hour to chill and marinate. This slaw tastes delicious when made a day ahead of serving time. 8. Serve chilled! Garnish with additional sesame/pumpkin seeds.